This Bracelet features multi-functions, activities record, sleep monitoring, notification alerts... It will help you to record your health conditions. Best product ever! • The activity data will be cleared every 0:00am as a cycle , but the device itself could restore 7 day's data , after 7 days , the data will be cleared . We suggest user to sync data with app at least one time withn 7 days during use. • Quick link: LED Silicone Digital Wrist Watch. this little band exceeded expectations! Although it's cheap price but the function comes with well thought designs. I'm impressed with Device section in its app. 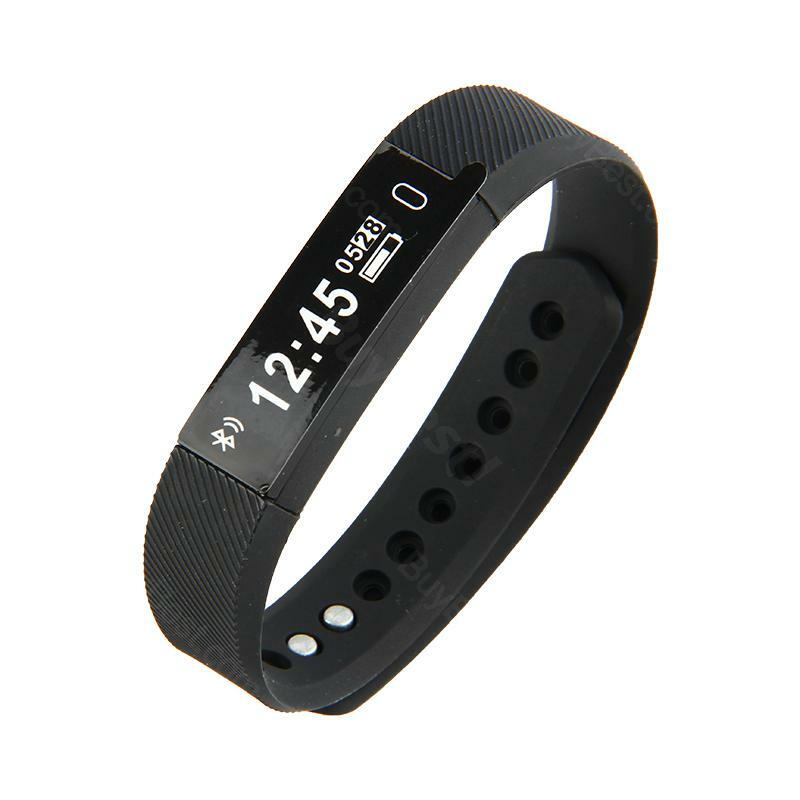 The Sedentary, SNS alert and Anti-lost alert functions make this band works closely with your mobile to provide notifications keeps you posted. I love the Find phone setting as I often forget where my phone left in my house. This function works perfectly helping me find the phone in the corner when I accidentally set phone muted. It also provide Displays mode with landscape and vertical options which fits either your wearing way to looking at the screen. Great fitness tracker. Charges pretty quickly via a USB port. Touch screen makes it easy to switch between menus. Message notifications work perfectly. I just had major back surgery and using the bracelet is helping very much as the only exercise I can do right now is walk. Thank you again. Though simple package, the bracelet watch arrived safely and quickly, without any damage. Suitable device when running. I can honestly say I'm super impressed by this product, for years I've been wanting a Fitbit, but they're just a little too expensive for me. With this one you get a lot of those more benefits for a lower price. And it is just as good!